The jewel was created around 1604 to mark James's Union of the Crowns of England and Scotland. It was created in gold with five main stones set into it: four diamonds and a ruby. The ruby and one of the diamonds were table-cut, while two further diamonds were lozenges. One of them was known as the "Stone of the letter H of Scotland" or the "Great Harry" and had belonged to James's mother, Mary, Queen of Scots. The final diamond was the Sancy Diamond which is believed to have been previously owned by the Burgundian crown. 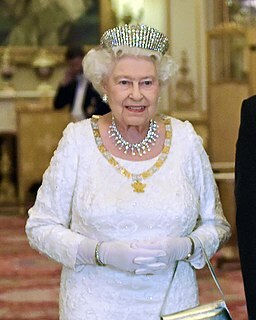 The jewel was also decorated with two pearls and a number of smaller diamonds. The diamond used in the piece from the "Great Harry" appears to have been a gift to Mary, Queen of Scots from Henry II of France. Charles I pawned the Jewel and it was split up. 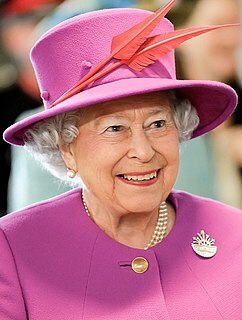 The pearls remained in royal possession for another year but were then also pawned. The Sancy Diamond was reclaimed but again pawned in 1654 and subsequently became part of the French Crown Jewels. The Sancy Diamond is now in the collection at the Louvre. 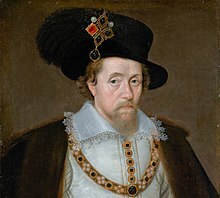 The National Galleries of Scotland collection includes a 1604 portrait by John de Critz of James I and VI wearing the Mirror of Great Britain on his hat. ^ Roy Strong, "Three Royal Jewels", in The Tudor and Stuart Monarchy, pp. 69–75. ^ Paton, James (2015). Scottish National Memorials: A Record of the Historical and Archaeological Collection in the Bishop's Castle, Glasgow, 1888. Forgotten Books. ISBN 978-1332193790. ^ Barker, Brian (1979). The Symbols of Sovereignty. Westbridge Books. p. 48. ISBN 978-0-7153-7649-2. ^ Calendar of State Papers: Domestic Series, of the Reign of Charles I, p. 216. ^ Edward Twining, A history of the crown jewels of Europe, p. 245. 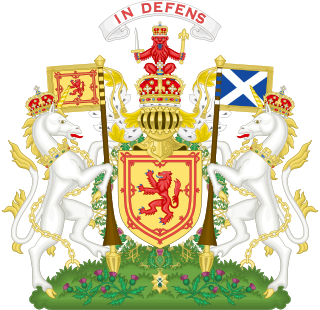 ^ Scotland, National Galleries of. "James VI and I, 1566 - 1625. King of Scotland 1567 - 1625. King of England and Ireland 1603 - 1625 − John de Critz − c − Artists A-Z − Online Collection − Collection − National Galleries of Scotland". www.nationalgalleries.org. Retrieved 2016-09-28. The Sancy, a pale yellow diamond of 55.23 carats (11.046 g), was once reputed to have belonged to the Mughals of antiquity, but it is more likely of Indian origin owing to its cut, which is unusual by Western standards. John de Critz or John Decritz was one of a number of painters of Flemish and Dutch origin active at the English royal court during the reigns of James I of England and Charles I of England. He held the post of Serjeant Painter to the king from 1603, at first jointly with Leonard Fryer and from 1610 jointly with Robert Peake the Elder. Agnes Keith, Countess of Moray was a Scottish noblewoman having been the eldest daughter of William Keith, 4th Earl Marischal and Margaret Keith. She was the wife of James Stewart, 1st Earl of Moray, Regent of Scotland and the illegitimate half-brother of Mary, Queen of Scots, making her a sister-in-law of the Scottish queen. As the wife of the regent, Agnes was the most powerful woman in Scotland from 1567 until her husband's assassination in 1570.